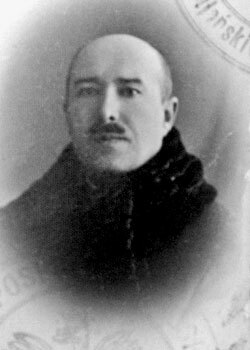 Vaclau Lastouski: What Each Belarusian Has to Know? The editorial board has decided to translate into Russian the entire well-known article of Vaclau Lastouski “What each Belarusian has to know?” Why into Russian? The Belarusian language is the primary language of the magazine “CULTURE, NATION”. However, materials can be published in any language, if the subject matter is directly attributable to the magazine’s main objectives (with mandatory summary in the native language). Yet the decision of translating Lastouski’s article into Russian was sad necessity measure. First of all, people who read, become ever less. Secondly, one would think that people shouldn’t need the translation to read in their native tongue. But unfortunately the reality is that Belarusians read primarily in Russian and mainly Russian literature (85% of books on the publishing market in Belarus are printed not in the native language but in Russian). The reasoning of the editorial board for translating this article into Russian is as follows: even if one person is interested in reading this article in Russian, it is necessary, due to the importance of the content, to provide a translation. Many Lastouski’s ideas reflected in this article that was published almost a hundred years ago are still relevant for Belarusians today. We should strongly encourage everyone who considers him or herself Belarusians (considers not only for the purposes of filling in official papers or claiming citizenship and belonging to the country’s territory, but truly by devotion), to behave like Belarusians.